"The Project" series of my blog is where I "deep dive" into researching a particular food or product. I really enjoy researching stuff. I have to put out this post on stevia because of the additional ingredients I have been running across in some stevia products. My concern came about because a product may be labeled "Stevia", and we would assume it is pure stevia. However, when we look at the stevias containing additional ingredients, they can cause me great concern. This label was taken from the back of a stevia product. 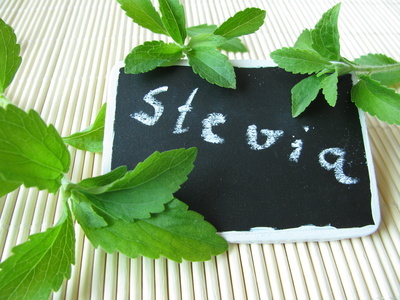 I have noticed that a lot of stevia products are not pure stevia leaf. Many seem to be watered down with Maltodextrin or Dextrose. Maltodextrin is a somewhat sweet carbohydrate usually produced from corn starch. For me it's the corn that is the real issue. It seems that maltodextrin is a product that is readily available because our GMO corn industry has run amuck. If the product does not say organic and contains Maltodextrin, then its a safe bet that it's GMO corn. I try to stay away from it, I have to take control of the sugars that go in my body. This sweetener thing is complicated enough, and I don't need them throwing something else new at me. 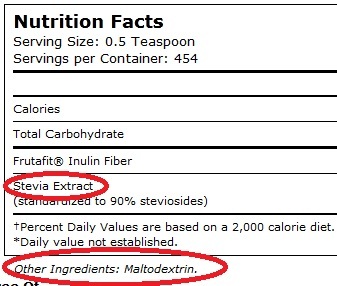 Stevia is a natural product and a whole food in it's traditional form, but beware of the "other ingredients". I noticed that in some stevia products, the stevia is not even the main ingredient, but the box is labeled "Stevia" (…….shaking my head). Stevia has been used in the pre-Columbus Americas for more than 1,500 years, and the plant has a long history of medicinal use in Paraguay and Brazil. The leaves have been traditionally used for hundreds of years in Paraguay and Brazil to sweeten local teas, as medicines, and as a sweet treat. Such longevity dictates if we want to use the whole food as they have been used historically, we would not want that product to be mixed with questionable modern additives. Some stevias also contain inulin which "could" be and issue with people with Candida, which is a problem associated with excessive yeast. Inulin supposedly feeds bacteria that cause candida. I ran across a blogger who wrote a good article on other ingredients in stevia as they relate to Candida. I have a big concern about the products Truvia and PureVia, creations of Cargill (Truvia), and a Monsanto spinoff company called Merisant (PureVia). I consider their "made from stevia" claims to be VERY misleading advertising. These products are basically made with a chemical derivative of stevia called Rebiana, created from stevia leaves by steeping them in water. They also contain "Erythritol", a sugar alcohol. 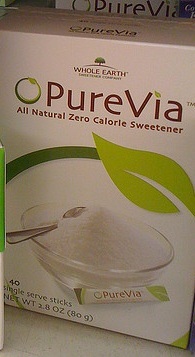 Thus, they say "contains stevia" or "made with stevia" but Rebiana + Erythritol is not Stevia in it's traditional sense. There is confusion between the names "Rebiana" and "rebaudiana Bertoni". The latter is the botanical name for the stevia plant, whereas Rebiana is a patended process for a chemically extracted product. Our good friends at Cargill have made a play on the botanical name to try to fool the unawares. You know how they do. There have been concerns about Rebiana being a "mutagen", defined as any substance that may alter genes. These products are a million miles away from the traditional whole food that is the stevia leaf that has been used for centuries. Anyone consuming Truvia should pay close attention to all this, before you put this stuff in your body. 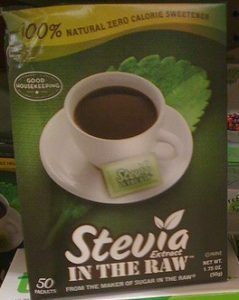 Another product that I gave a thumbs down was "Stevia In the Raw", from the makers of "Sugar in the Raw" and "Sweet N Low". Being affiliated with the makers of Sweet and Low was the first warning sign. Basically "Stevia in the Raw" is promoted as being different from Truvia and Pure Via because although it uses the Rebiana mentioned above, it does not use the other ingredient in Truvia and PureVia, a sugar alcohol called erythritol. Either way, the Rebiana is NOT real stevia, but a chemically altered extract of the stevia plant. And therefore, "Stevia in the Raw" is not real stevia or raw stevia. I don't know if the source of all the side effects associated with these "false Stevia's", especially Truvia, is isolated to either Rebiana or erythritol, but my common sense logic is to stay away from Stevia in the Raw, considering all the reported health issues with Truvia . I used to use a brand of Stevia called Sweet Leaf Stevia. I noticed that the single serving packets contain inulin fiber, but the concentrated version in the small jar does not, and the liquid extract does not. I noticed the same think about the brand called "Now" as well as many others. Very confusing stuff. And to be honest with you, I don't know if inulin fiber is good, bad, or not relevant, but I continue to keep the packets of "Sweet Leaf" Stevia in my wallet. I didn't get the impression that inulin fiber was something for me to be concerned about. Besides, it's for the occasional coffee shop visit, since I'm not an everyday coffee drinker. When at home or work, I keep a jar of quality raw organic honey. From what I understand, vegans don't eat honey, so for them, it must be an even harder dilema to deal with all this sweetener madness out here. In the end I wasn't super crazy about its taste, but as mentioned above, I eventually came back around to NaturAmericas Stevia. I also used a product called The Ultimate Sweetener Xylitol, which is made from birch trees. Xylitol is not actually a sugar, but a so called "sugar alcohol". It has a very pleasant taste, like a not too sweet sugar. I'm comfortable with it now, but I am gonna keep researching it because it is not an ancient food tested through time, it was invented in the late 1800's. Plus, most xylitol is made from corn and vulnerable to being GMO. So, I can't use anybody's brand of xylitol because I stay away from corn. If Birch Tree xylitol turns out to be safe and healthy, then that will be a very practical solution for most people, as it relates to taste, convience, etc. But, as soon as it gets popular, the GMO corn xylitol producers are gonna swoop in and start fooling people. You know how they do. The quest never ends I guess. (this comment is below in my comments section, but I wanted to add it to the article, in case anyone is googling on her symptoms). "This is an old blog, I realize, but I need to post anyway. I was so excited to find Truvia, thought it was a real stevia product. Boy was I wrong. For years I had struggled with a bad case of hives on my chest. Hives would come and go with no way to pinpoint the reason. They appeared in an upside down T with the leg pointing to my chin and the crossbar all across my chest. I went to doctor after doctor; dermatologists; allergy testing, all of the above and they all assured me it was a yeast infection. My reply: if it was a yeast infection the meds would make it better, not worse as that is what happens. I had a horrible outbreak and went to still another dermotologist; same DX, and they finally did a biopsy and sure enough, it was NOT a yeast infection. That got me to thinking: what have I changed in my diet? Only the addition of Truvia, ten packets to a gallon of tea. Since humans have used pure stevia for thousands of years, the logical conclusion was that an additve was the problem, and sure enough, checking the package showed a bulking agent named (the devil) maltrodextrin. So I looked up maltrodextrin, and discovered that it sometimes comes from potatoes: to which I am allergic. Problem solved: no more products with maltrodextrin – you have to be careful, as it is in LOTS of foods, even vitamins. Makes me wonder if other people are equally allergic to maltodrextin and are unaware. 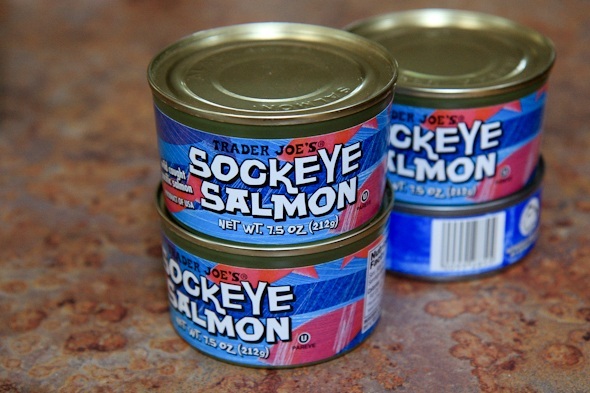 It was the hardest food allergy to track down since it is an additive and sometimes even listed under deceptive names, can you imagine? Best of luck to us all to try to stay healthy." UPDATE 5/7/2015 – I had previously promoted what I though was a great Stevia product, now I have to retract. A classic example of this scrupulous industry and how they are trying to fool everyone The link to read more about how even I got fooled by one of the "Sweet Talkers" here. …. once again, as with the term "antioxidants", "stevia" has become the latest "catch phrase", when big business observe that consumers are trying to do better by purchasing a healthy whole food, and these same corporations swoop in create to their own versions of the product. These corporate versions often stray away from the natural whole food that the product once was, and it becomes a product that possibly should be left alone. So in the end, READ AND UNDERSTAND YOUR LABELS! Thank you for all your in depth articles. I appreciate your hard work. Please keep it going. I was using Stevia In the Raw. I will now throw it out and keep looking for some other natural sweetner. I have always liked digging into this kind of stuff. When it’s all said and done, there is really no optimal sweetener. The Xylitol works very well for me right now. I love honey, although vegan’s don’t mess with it. But you can’t use honey anywhere and everywhere. It’s a shame how they are fooling people with these products such as Truvia, PureVia, and “Stevia in the Raw”. 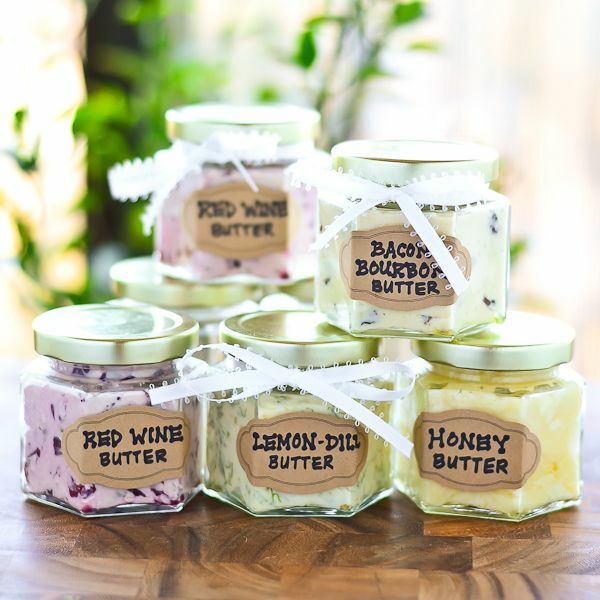 In the end, I’m lucky because I don’t use a lot of sweeteners, and when I have tea or coffee, I use raw real honey. But I’m not an everyday tea or coffee drinker anyway. You also might want to look into this sweetener called The Ultimate Sweetener, which is an xylitol made from birch trees. http://theultimatelife.net/CatSweet.htm . The issue with xylitol is that it can also be made from corn, so you have to make sure of what you are doing. Thanks for sharing Doug. I have been concerned about the stevia hype as well. I was thinking that I might try planting some stevia in my garden next summer just to see what it tastes like straight from the plant. But my sweeteners of choice are pure maple syrup (grade b of course) and honey (my new favorite straight from the farmer). Thanks for all your great research! I can't even believe it. I just bought like 3 boxes of "stevia" it's actual brand name is "Stevia". I just looked at the ingredients on the back and Stevia is not even one of the ingredients. Unbelievable!! I feel like calling the company. I'm going to have to start looking at labels more carefully I guess. This has been a learning experience for me. It makes me wanna “holla” the way they do us. If you got the from Whole Foods, I know they will let you return anything. That’s why I use Sweet Leaf Stevia, because I am comfortable with what’s in it, but that was trial and error just like you. AGREED! I get so aggravated with these fake- stevias. I think the best response is to make your own from actual leaf through alcohol extraction. Your Comments– It's great that you've gone through and run down the purity issue with white stevia extract and other alternative sweeteners. In my opinion, inulin is OK: it is an oligosaccharide, which is like a starch (polysaccharide) except that it is made of long chains of fructose, not glucose. It does feed bacteria, but my understanding was that it feeds beneficial bacteria that keep the candida fungi in check (xylitol is also antibacterial in this way). Here's another problem with stevia: some brands add something called "natural flavors" to their stevia products. I think Sweet Leaf and Nu Naturals both do so. A good friend of mine was recently having some serious health challenges. She went through all recent dietary changes to try to see what had triggered it, and after a lot of trial and error, figured out that it was the "natural flavorings" in her flavored stevia drops that were causing the problem. Pure, plain stevia was fine. I would really like to know what was in those "natural flavors:" she's now afraid of that designation whenever she sees it on a package! I think they cut it with maltodextrin so that it's easier to measure, but I vastly prefer the higher percentage steviosides stevia powders. I like the Now Foods one very well, and it's reasonably priced too. Interesting comments. I got the impression inulin was OK, I just hate that they put something in everything. In the end I am not really crazy about the taste of stevia. But I keep a packet in my wallet. Fortunately I am not a daily coffee drinker. I really like this Birch Tree Xylitol product, I just want to make sure it is OK to use consistently. 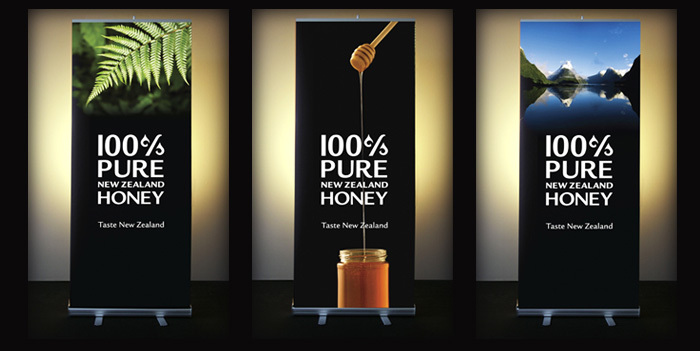 In the end its it’s about a sweetener for coffee and tea, I use raw honey at home and work. Well….it figures. Honestly, I have often thought that Stevia in the Raw was too good to be true and have half- been waiting for the other shoe to drop…..KER-PLUNK!" I will throw out the huge bag I just bought and go back to the extract in the bottle….it's expensive…it's hard to find…but it's real. Thank you for the information. Thank you for this article. My new years' resolution LAST year was to eliminate the consumption of ALL artificial sweeteners, and I have accomplished that for over a year now. I do allow Stevia though, but was unaware of the adulteration of stevia sweetening products like Truvia, etc. Good to be informed. On a side note: I could not help but notice in your side-bar, the picture of the handsome, ab-bearing man you captioned: "Eye candy" for my female readers. Must I apologize if I enjoyed it too (-: ? This is an old blog, I realize, but I need to post anyway. I was so excited to find Truvia, thought it was a real stevia product. Boy was I wrong. For years I had struggled with a bad case of hives on my chest. Hives would come and go with no way to pinpoint the reason. They appeared in an upside down T with the leg pointing to my chin and the crossbar all across my chest. I went to doctor after doctor; dermatologists; allergy testing, all of the above and they all assured me it was a yeast infection. My reply: if it was a yeast infection the meds would make it better, not worse as that is what happens. I had a horrible outbreak and went to still another dermotologist; same DX, and they finally did a biopsy and sure enough, it was NOT a yeast infection. That got me to thinking: what have I changed in my diet? Only the addition of Truvia, ten packets to a gallon of tea. Since humans have used pure stevia for thousands of years, the logical conclusion was that an additve was the problem, and sure enough, checking the package showed a bulking agent named (the devil) maltrodextrin. So I looked up maltrodextrin, and discovered that it sometimes comes from potatoes: to which I am allergic. Problem solved: no more products with maltrodextrin – you have to be careful, as it is in LOTS of foods, even vitamins. Makes me wonder if other people are equally allergic to maltodrextin and are unaware. It was the hardest food allergy to track down since it is an additive and sometimes even listed under deceptive names, can you imagine? Best of luck to us all to try to stay healthy. 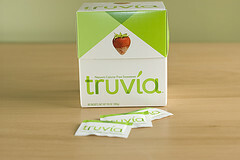 Truvia is to be avoided just like any other fake garbage the FDA keeps approving. If you can grow stevia yourself by all means use it, but I wouldn't touch Truvia or any other chemically altered fake sweetener. The FDA doesn't approve anything until a giant corporation comes along that pays the proper people off in the FDA, and then makes sure it alters it in a way that is bad for Americans, but great for the corporation (e.g. addictive qualities, cheap dyes, sugar alcohols, etc.). The FDA is just another joke of an agency that should have many of its current staff jailed, as well as many former employees. Just another gov't agency purchased by corps. I would crack a joke about your FDA rant, but I feel exactly the same way about those idiots. It took all the power in the world for me not to have a blog that devoted all my time to raging against the corrupt and dishonest system, Money Driven Medicine, GMO’s and all the rest. Fortunately, I’m focusing on finding holistic food and lifestyle options and trying to enjoy and live this thing called life if possible. However, you lit the flame with your FDA comments, actually I’m a believer that one should avoid anything approved by the FDA. I know this is a naive comment, but I was taught growing up that the government is supposed to be “Of the People, for the People, and by the People”, meaning these Government Agencies should be working for us. Such a shame that folks like the FDA are lining their pockets at our expense. When you dig deep into Truvia, it is a big joke, for the FDA to approve that pile of Toxic Poison Powder, its obvious what is going on with the FDA. OK, my rant is over, let me get back to finishing up and article on Wild Caught Salmon with organic herbs. Keep fighting the fight, and ranting the rant dude, the world needs it. I would just be guessing, but I would think that is a legitimate stevia product. The alcohol that is found in many of those little bottles of extract is very common and considered in general to be OK when using extracts, though some extracts are water based instead of alcohol. I've been using stevia in the raw now for awhile. Its a big bag for 10 dollars. Good for cooking and put in your coffee or tea. Ok it does have maltodextrin but if its from corn its not that bad unless you are allergic. I am diabetic and it hasn't affected my sugars at all. Will continue to use for don't see reason not to. If safe for cooking should be good for everything else. thanks for all the info though very interesting. I hear what you are saying. In the end we all make our decisions on what is best for us. I’m not the final judge and jury on what is right or wrong for another person, and there may be no “right or wrong” with many of these things. I just want to get the information out there to help make informed choices. 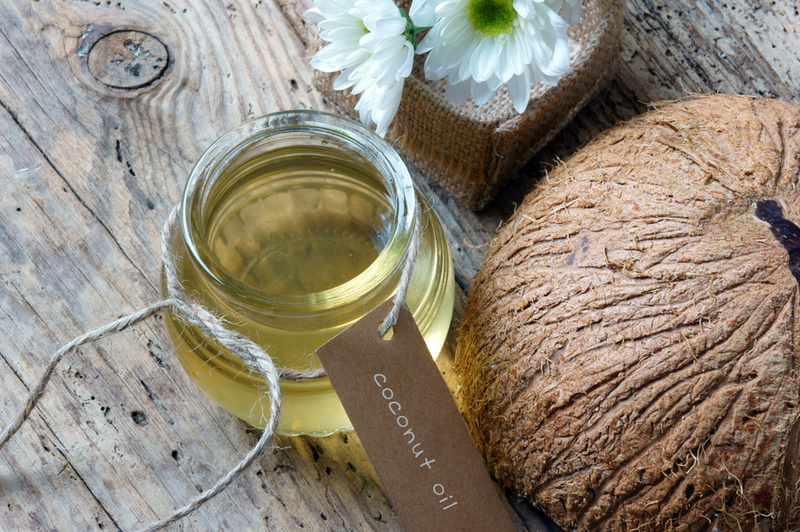 I personally have no need to contemplate any Stevia anymore, because I now prefer coconut palm sugar. And for my Green Tea, which I can drink 3-4 cups a day, I actually use lukewarm coconut water mixed in with my tea and that’s all the sweetener I neeed. I never really liked the taste of stevia in any form, so my break from it was pretty easy.